Hair extension stylesare almost the same styles in the market, so how to make your hair extension outstanding from others? The best way is to customizing your unique hair extension box from custom gift box factory, like us. We provide custom design and printing with many special and normal styles. 1. We provide high quality cartons (K=A) for boxes outer packing and also take many protective methods to prevent the cartons from being damaged. 2. We provide free service of helping customers checking shipping information to their destination at the lowest rate, giving them better suggestion of shipping ways, shipping time and shipping cost. 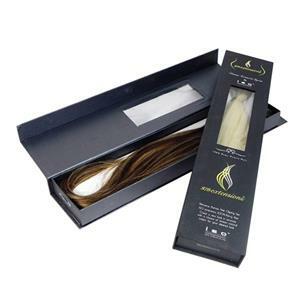 Take this hair extension box for example, we pack them into customized cartons with 30pcs each. Then make each angle protected by angle beads. 1. By courier, like DHL, UPS, FEDEX, etc. It is door to door, usually, 5-7 days to arrive. 3. By sea to sea port, usually, 15-30 days to arrive. 1. Choose a right size: as the hair extension has lots of styles and sizes, so to choose an appropriate size or common size to pack all your hair extension is very important. 2. To make your custom box a die cut window: many consumers will care about the hair color and style when they are ready to buy the hair extansion,so to make a die cut window on the top of your box,they can see directly from the outside, no need to open the packaging box one by one. 3. 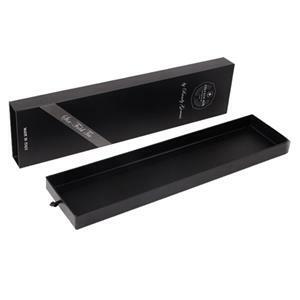 To make it easy open: usually the magnetic gift box style are the most fashional style for hair packaging. We have three alibaba websties and two google websites for now,and expanding larger and larger. We are top 10 gift box suppliers in China,who provides best service as well as high quality custom boxes. We have five trading sales teams,providing 24 hours on-line service. From design to packing, we are the professional one that you are looking for.